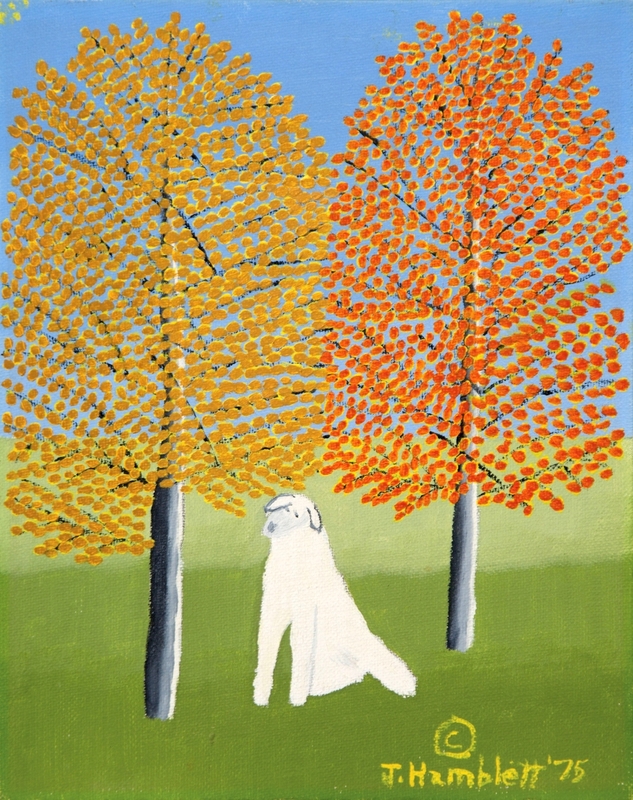 The best among the works by self-taught Mississippi artist Theora Hamblett (1895–1977) was this small 1975 painting of a “White Dog,” 10 by 8 inches, that left the gallery at $13,420. NEW ORLEANS, LA. 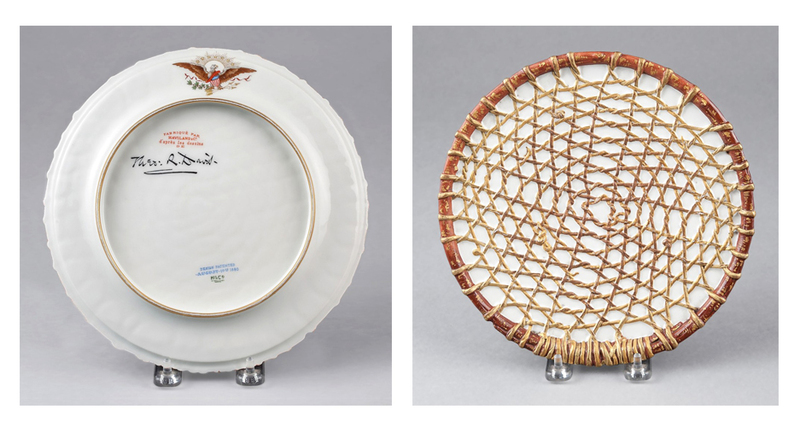 – The magical charm of diversity distinguished Neal’s estates auction on May 19-20; the catalog of more than 1,100 lots featured material drawn from collections across the Southeast. 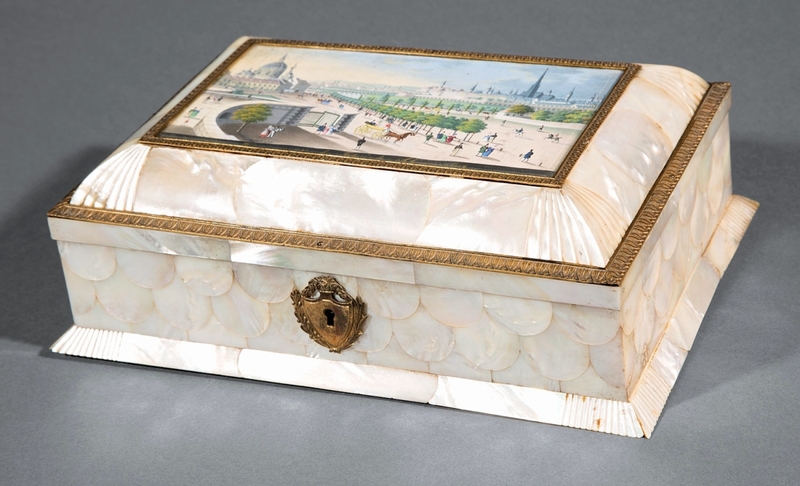 As New Orleans celebrates its 300th anniversary, the offerings spanned centuries and cultures with bidders stepping up to buy Eighteenth Century silver, Nineteenth Century furniture and Twentieth Century fine art. Looking deeper into the latter category, the sale revealed four contrasting faces of popular Louisiana artist Hunt Slonem (b 1951). 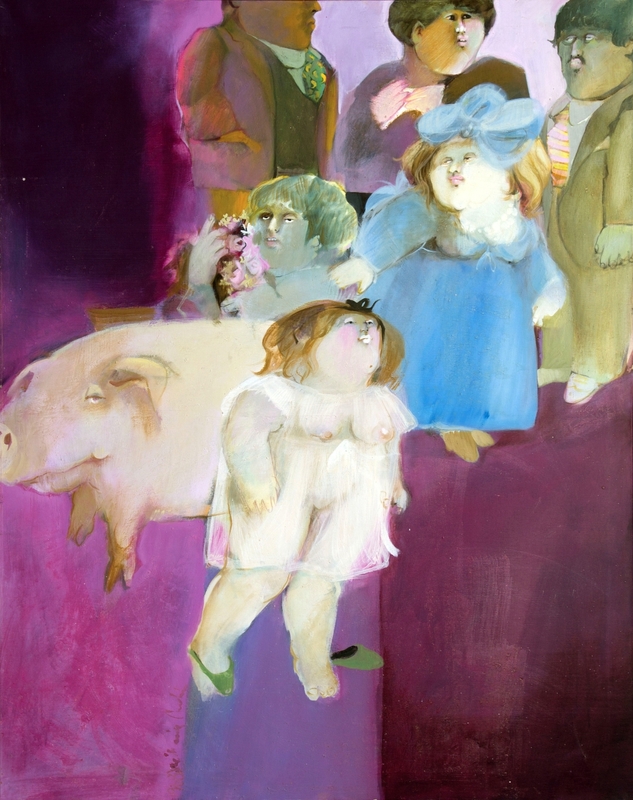 A 1982 work titled “Fox” showed off the artist at his brightest on a large canvas (74 by 101 inches). 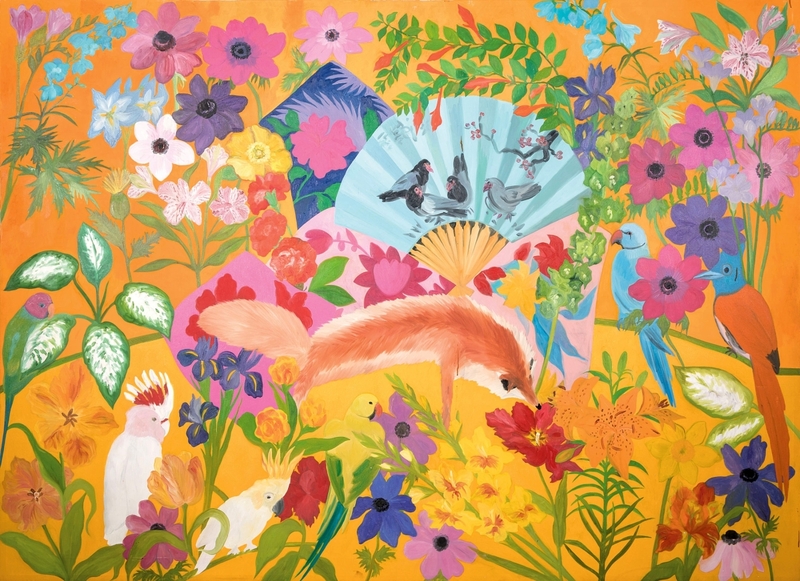 Sold for $17,280, double the high estimate, the fox roams among multicolored flowers and Slonem’s beloved parrots. Two other works showed the painter at his most muted. Three panels of shadows titled “The Witness: Trip-Tic” 1995 (78 by 186 inches, unframed), sold for $8,960, while his subdued “Metallic Bunnies” from 2015, 27-1/3 by 23½ inches, brought $8,325. An atmospheric oil on wood panel view of “Bayou Teche,” signed and dated 2015, 25½ by 29¾ inches, secured a high estimate at $3,660. 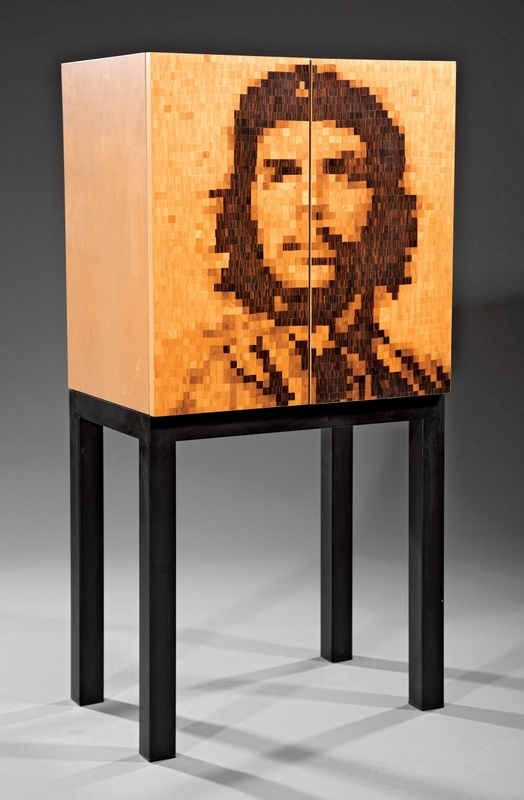 Collector interest in works by desirable regional artists fueled some of the strongest prices. Talking with Antiques and The Arts Weekly, Neal’s president Neal Alford pointed out some of his favorites after the sale. 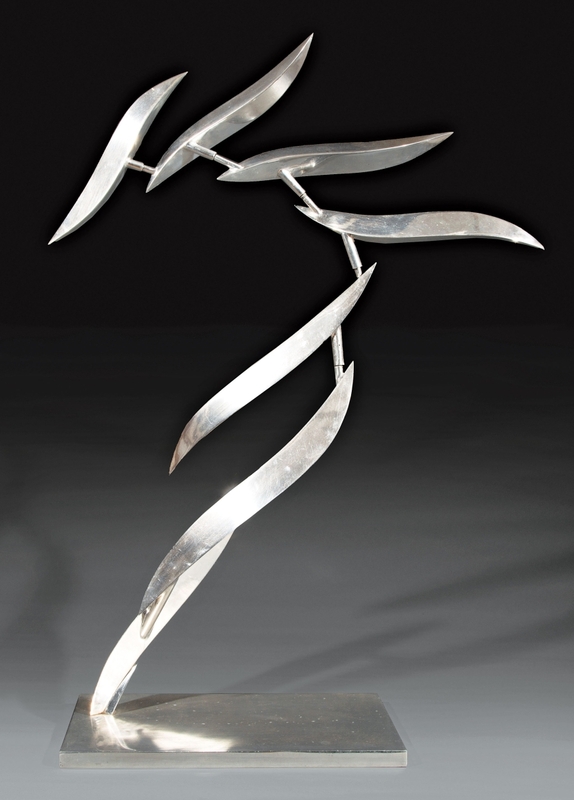 Lin Emery’s polished aluminum “Cadence (Aerial),” 1986, at $31,720, was top lot, and he noted, “Lin Emery’s sculptures are still visible in public spaces and in people’s houses and gardens. She’s still alive, an established artist for over two generations now. 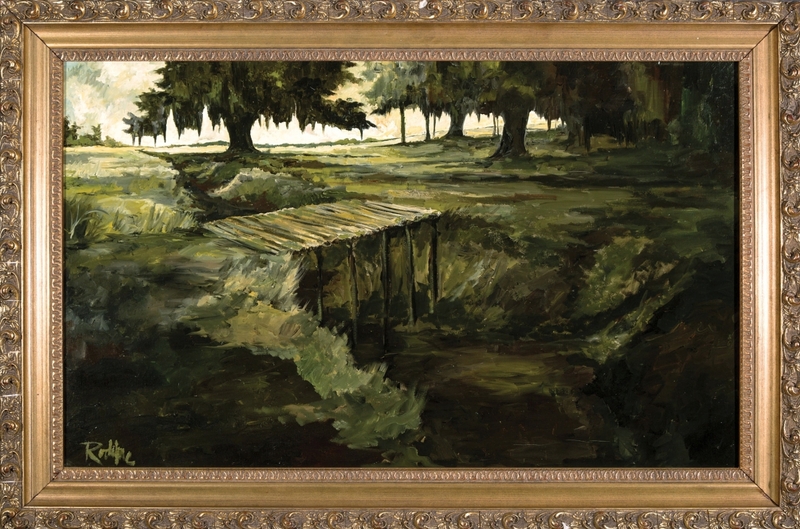 New Orleans is not just antebellum style.” Louisiana artist George Rodrigue (1944-2013) also has a devoted following; the winner this time was not a Blue Dog but one of his dark Cajun period landscapes, “Bridge over a Coulee,” selling at $26,250. The lineup included a selection of works in different media by self-taught Mississippi artist Theora Hamblett (1895-1977); the 1975 oil painting of a delightful “White Dog” in autumn brought $13,420, and a mosaic “Madonna” of texstone and mixed media on board settled at $6,100. The bronze figure “Passage, Maquette II,” 1996, 24 inches high, was by California artist Manual Neri (b 1930), but it had passed from a New Orleans gallery to the Koch Collection in Metairie; it brought $8,125. Mixed in with the five-figure material were lots that Alford christened “well-bought” or, in other words, great buys for the collector. Attractive graphics affordable to all included a pair of World War II posters by New Orleans artist John McCrady (1911-1968), great buys at $384 and $610. 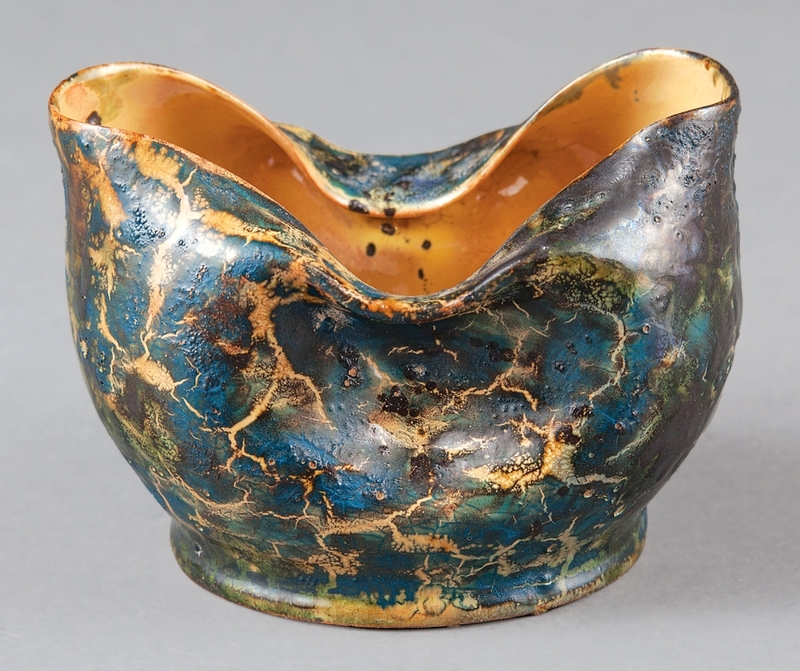 Another appealing lot was “Bearing the Beauty,” a modern shield-form of wood and metal by Louisiana sculptor Rick Brunner (b 1954) for $375. 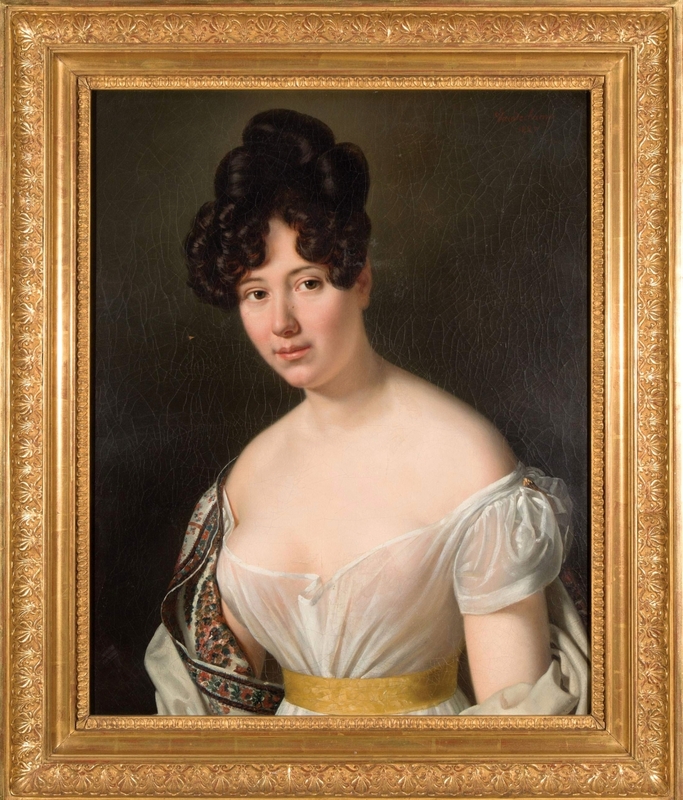 Turning to the Nineteenth Century, certainly the most moving painting of the auction was a portrait of a young woman in a transparent Empire dress signed by French artist Jean-Joseph Vaudechamp (1790-1866) and dated 1827. Drawn by opportunities for commissions, the artist began regular visits to New Orleans in the 1830s; this portrait was most probably painted in France but still sold for $11,590 to a collecting couple from the area. 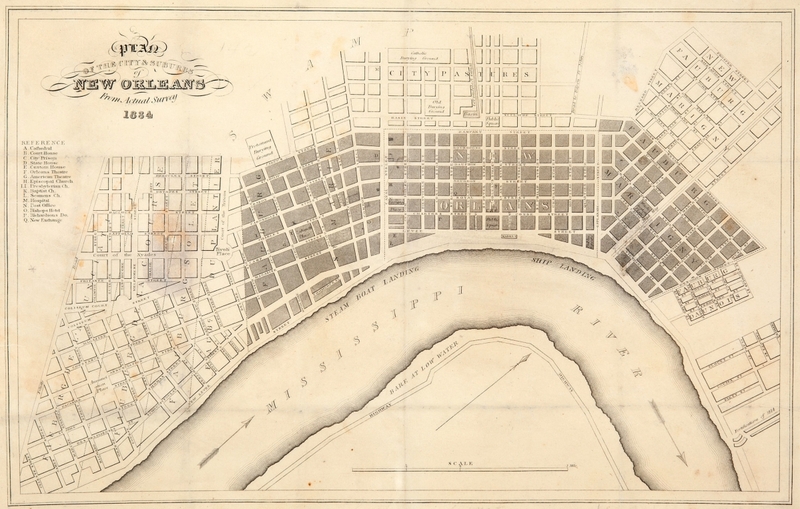 More about the painter is revealed in Vaudechamp in New Orleans by William Keyse Rudolph (The Historic New Orleans Collection, 2007), based on research for his Bryn Mawr PhD dissertation. Rudolph is chief curator at the San Antonio Museum of Art. On the subject of period furniture, a favorite category of Alford’s, the auctioneer said, “Furniture is a big mystery for everyone. 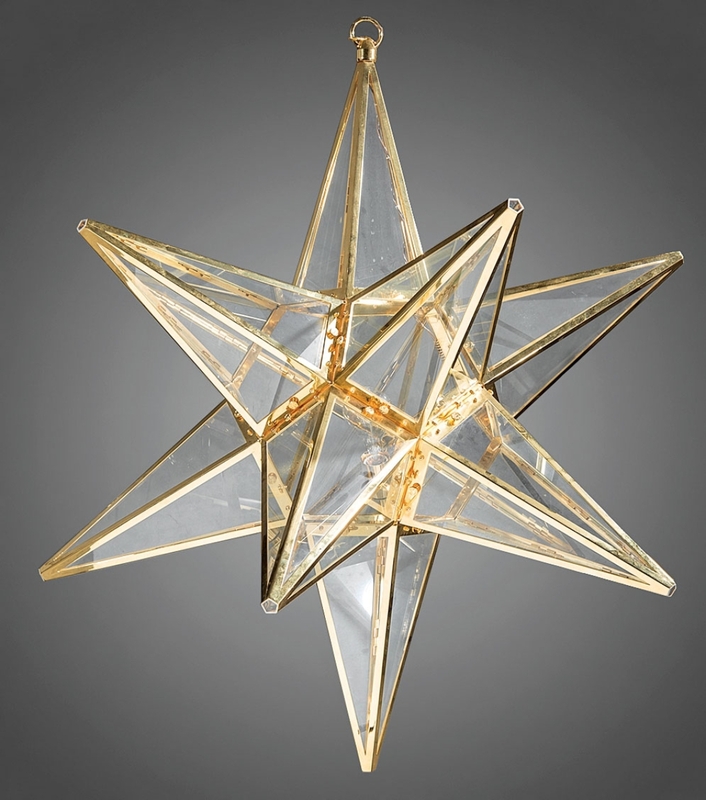 The best of the best furniture in each form does very well. There’s an American rosewood bookcase that brought $12,200 with buyer’s premium, and that goes back to Prudent Mallard and that whole mythology of New Orleans furniture.” Born in France, Mallard was a major retailer in the French Quarter who – whether or not he produced furniture – certainly favored a certain style in the pieces he carried in his store. 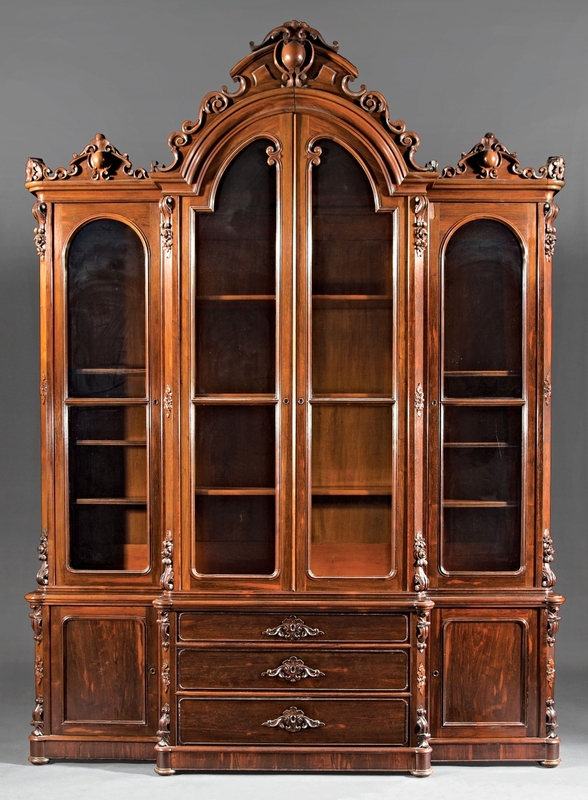 The bookcase, which came out of the Wedding Cake House on St Charles Avenue, has carved cabochons on the crest that are often considered a hallmark of Mallard’s style. Ascending into the air, this aluminum version of “Cadence,” 1986, by Lin Emery (b 1928) was made as a 56-inch model for a wind-driven monumental work installed in Illinois; the sculpture realized a well-deserved $31,720, top lot of this sale. 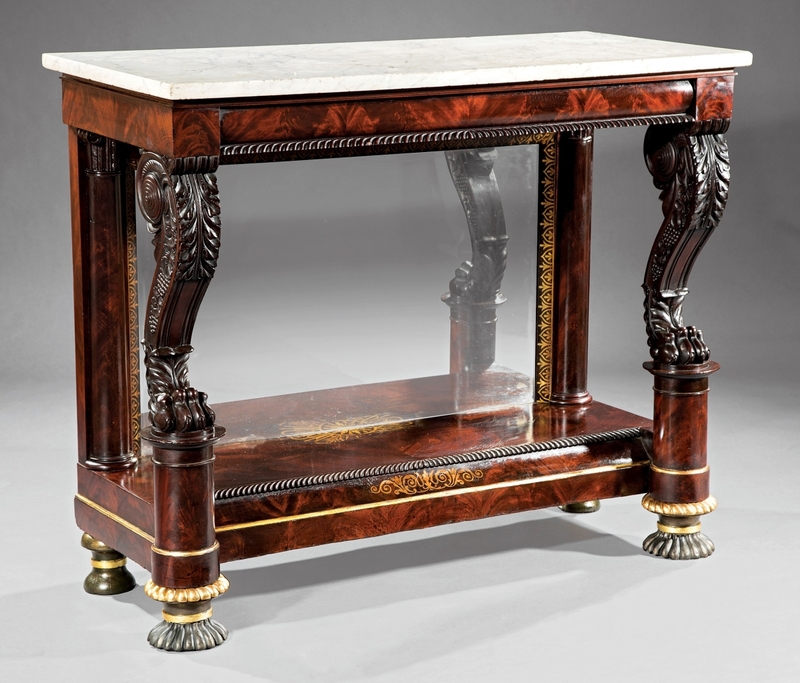 Anthony G. Quervelle’s exquisite Philadelphia style was represented by a marble top mahogany pier table attributed to the maker, circa 1825, which has all the embellishments of the period. 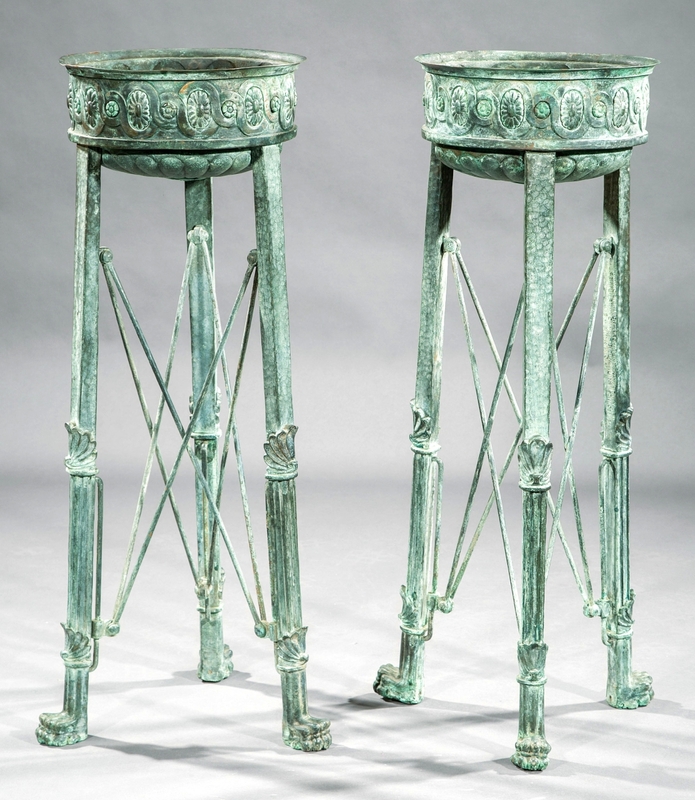 The acanthus-carved front legs with paw feet rest on short columns. The table shares many similarities with one made for the White House under Andrew Jackson and another at the Athenaeum in Philadelphia illustrated in a Robert C. Smith’s article on Quervelle in The Magazine Antiques issue of September 1964. 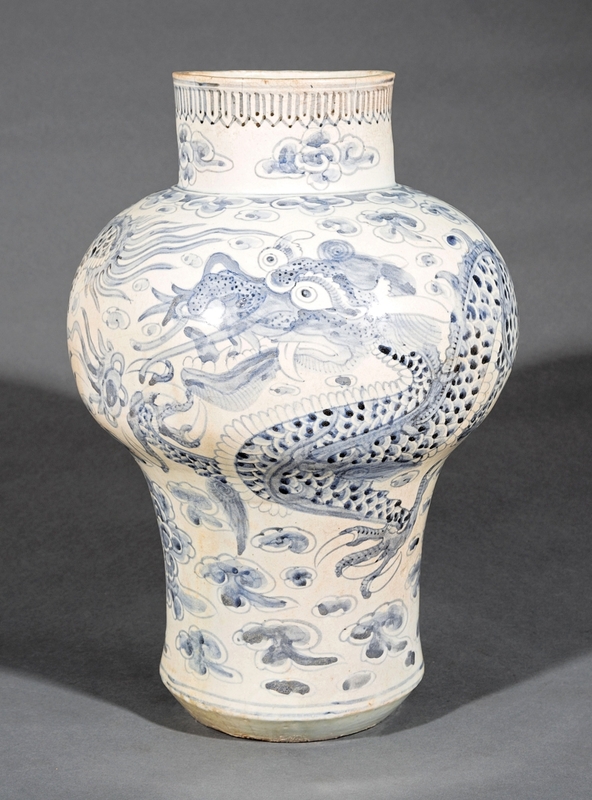 The fine example sold for $10,370 over a very restrained $5/7,500 estimate. There were many reasonable period furniture buys, such as a Boston late classical center table with a black Egyptian marble surface for $1,830, a Meeks New York mahogany sofa table for $1,875 and a mahogany work table with paw-foot carved base for $488. Small but mighty, a string of English George III tea caddies caught the eye of the right group of buyers. All bore estimates of $1/1,500, but an example in red tortoiseshell climbed to $4,480, and two in green tortoiseshell reached $3,328 each. 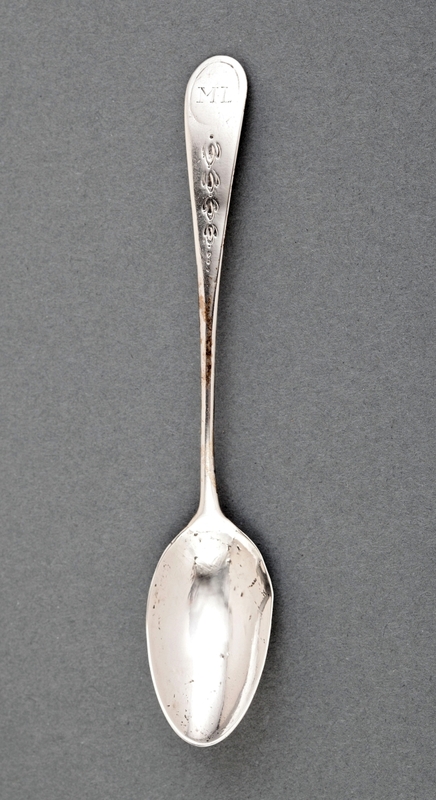 The Spanish Colonial period of the Eighteenth Century was represented by an ecclesiastical silver incensario suspended by chains, which fetched $3,294. Two consecutive lots of Spanish tooled leather “Baul en Madera” storage chests sold for $1,536 and $1,664. The Neal Auction Company is at 4038 Magazine Street in the historic Garden District of New Orleans. For information, www.nealauction.com or 504-899-5329. 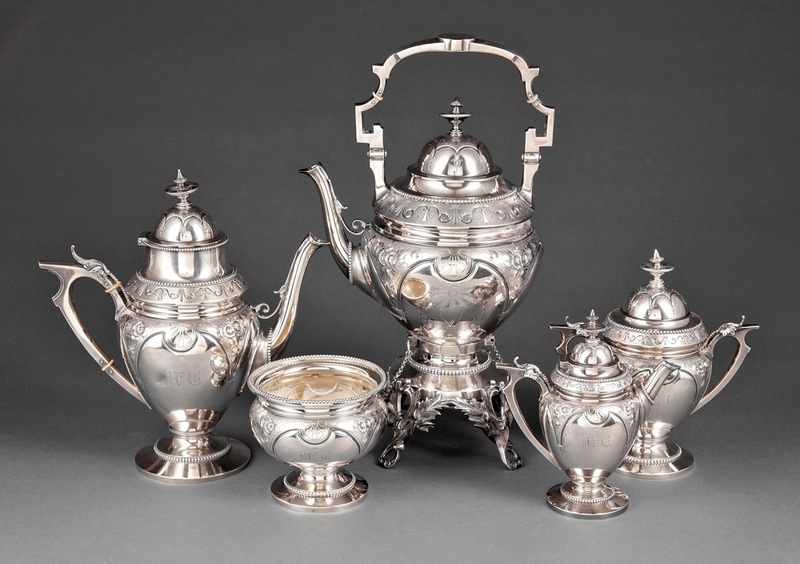 Although this Renaissance Revival sterling silver tea service was made in New York by Wood & Hughes, it was presented on May 6, 1872, to prominent New Orleans businessman Hugh McCloskey (1853–1927), who headed many important enterprises in the city — a very good buy at $3,660.